Drinking water safe. Made in U.S.A. Lead Free complies with Consumer Product Safety Improvement Act for lead content. 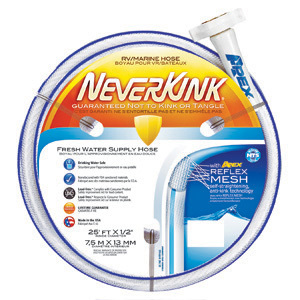 * Grip-Tite coupling for an easy, leak free connection at the faucet on 5/8" hose. "great service with fast shipping"